In need of some relaxation tips? Check out this new breathing technique that’ll help clear your spirit and mind. Dr. Sue Morter, author of THE ENERGY CODES, shares how to practice central channel breathing. Central Channel Breathing is a fundamental practice of the Energy Codes. Breathing through the core of the body gives you the tangible experience of your multidimensional reality (body-mind-spirit), and swiftly shifts you out of survival and reactivity mode and into a perspective based in a sense of higher purpose instead. Start with your anchor points—lifting the pelvic floor in mūla bandha, squeezing the heart as if doing a bench press, Darth Vader–style in-the-throat breath, and momentary tension behind the eyes. Exhale from the belly, straight down through mūla bandha and into the earth, still squeezing your four anchor points. Retract your belly toward the spine on the exhale. Now reverse the action: draw a breath from within the earth up through mūla bandha into the belly. As you exhale, feel yourself as the energy flows up through the shaft of the central channel and out the top of the head. Repeat the whole cycle. Note that a complete cycle includes two full breaths: one inhale starting from the top, six inches above your head into the heart/belly/core space, followed by an exhale down into the earth; and one inhale into the heart/belly/core space from the earth, followed by an exhale out the top of the head. 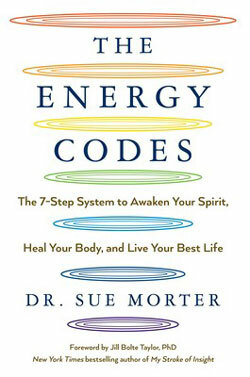 Discover more breathing exercises by picking up a copy of THE ENERGY CODES by Dr. Sue Morter! 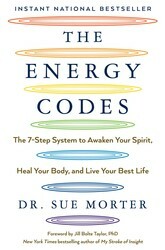 Excerpted from The Energy Codes by Dr. Sue Morter. Copyright © 2019 by author. Used by permission of the publisher. All rights reserved. Photo by Katie Barrett on Unsplash.